This day we will visit a local community call Umasbamba Las hormiguitas organization to learn about the dyeing and weaving process, here we will see how the local women use the natural plants, roots, seeds, leaves and insects to dye the alpaca wool, there you can choose to do a weaving lesson to learn the basic structure of weaving. After we will visit Casa de Barro restaurant for our lunch, then back to Cusco. You will be picked up from your hotel at 7:0 a.m. safter which a private transport will take you on a 1.5 hour journey to Huaran village (9348ft) situated between Pisaq and Urubamba in the Sacred Valley. 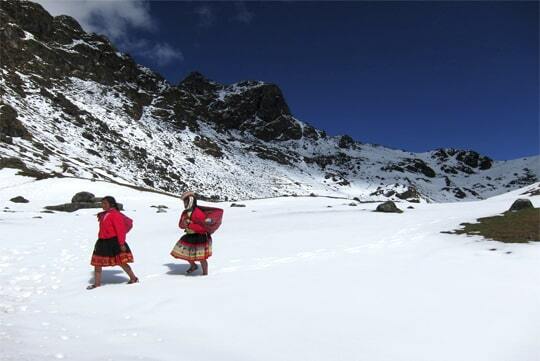 Huaran is the place where the Lares trek actually begins. Your horses will be prepared as they will accompany us from this point forwards as we start our soft ascend along the small Cancha Cancha River. 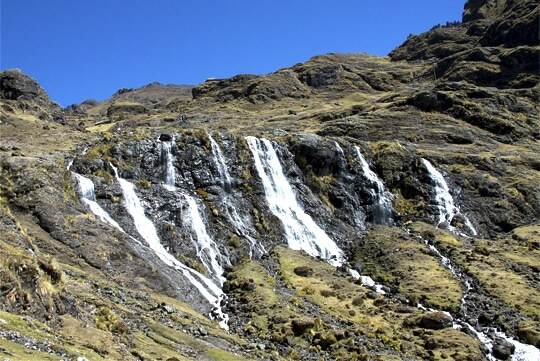 Day 1 will have you walking for roughly 5 hours and a climb to a hill in the valley, with lush plant life, to reach the 1st campsite in Cancha Cancha (12464ft) which is a little farming community in the midst of brilliant mountainous scenery. As we make camp you can familiarize with the locals and their way of life. The Lares Trek continues on the 3rd day after breakfast. 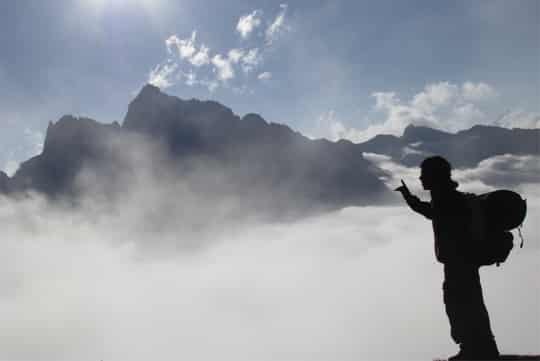 We make for Abra Hillkiccasa (13448ft), the second mountain path. From here you can enjoy spectacular views on either side. The majestic Colquecruz and Pitusiray mountains are a special treat to watch from the path. We continue the trek through the Puna grasslands, agricultural sites and lakes. After 3 hours we reach Cuncani, a small peasant community. From Cuncani we head down through a lush valley with even more agricultural areas, seeing lovely native flowers like begonias and wild orchids. We reach our destination, Lares town (10168ft), after a 2 hour walk. This is the district (also called Lares) capital, adorned by delightful hot springs where you can take a dip. 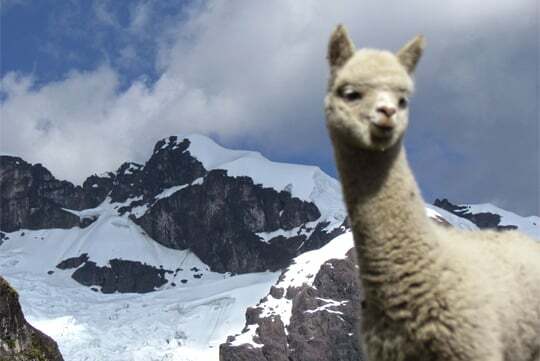 Once having lunch at Lares we will take our private transport to Ollantaytambo from where we catch the train to Aguas Calientes, where we will check in at our hotel/hostel. After breakfast at your hotel, our representative will meet you at your hotel and take you to the airport for your journey home or on to your next destination.